An enjoyable challenge, but a challenge nonetheless. 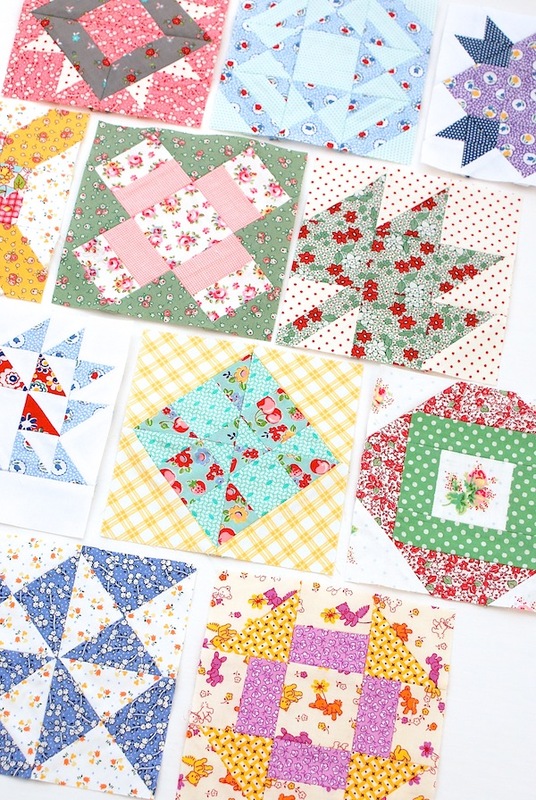 I think my general piecing accuracy has definitely improved over time so I'm looking back at older blocks and thinking "what?!". I'm also finding that since it's taking an age to complete my taste is changing as well, so I may need to update some blocks, oops! I'm also in a quandary about adding solid white to some blocks, until now I had only used patterned fabric? Now I'm undecided. I've been making the blocks in sets of four at a time and chain piecing as much as possible - following Camille Roskelley's FWQ tips. She recommends doing them six at a time but I don't think I have a workspace that allows me that so I can get into a bit of a muddle doing it that way. I'm happy to see your photo. It's nice to see who you are. Thanks for the update on your FWQ. I plan to make one, someday. I appreciate the link to Camille Roskelley's FWQ tips. Your blocks are so pretty! And your photography skills are awesome! Nice to see your pic, too! The blocks are coming along wonderfully! With a long term project, there's always the chance that your taste will expand as the project goes along. Your FWQ will be a representation of your journey if you choose to follow your ever expanding choices of prints and solids, colors and hues. 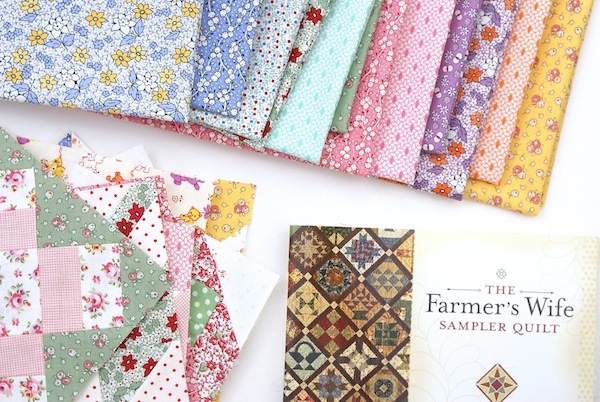 Your blocks look beautiful in the reproduction prints! I just started my FW blocks last weekend. It became quite an obsession and I have 24 blocks done. I'm adding solid white to almost all the blocks. Yes, many of them are quite challenging! I had to completely remake a block. for a PUBLICATION !!! ??? are you getting famous? writing a book ? in the papers ? on the oscars red carpet ? spill the beans please. and then, are you enjoying the new house of cards ? i have avidly swallowed it all down in one greedy week, great telly ! and again, where did you get those neat little templates ? do you sell them ? have i not combed your site thoroughly enough ? lovely post with your usual lush photos. I love your pic, I need to update mine! These are just delicious Jessie, really lovely. 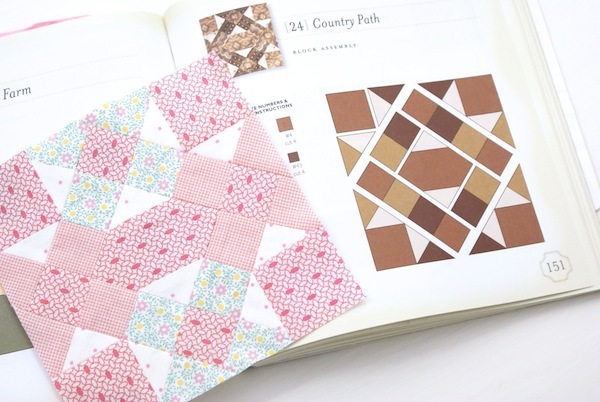 I think these FW blocks in these sorts of fabrics are my favourite quilty blocks, love the fabrics together. These are so pretty... and spring-like! Great blocks and i love you fabric choice! Hi, I just found your blog through the FW flickr group. I am also making the blocks. I just love yours! Your color palette is just beautiful. I am now following you on Feedly. my mouth is full of testimony is just like a dream but is real all thanks to papa Dr saulat. It was a very good post indeed. I thoroughly enjoyed reading it in my lunch time. Will surely come and visit this blog more often. Thanks for sharing. check out UberEATS Customer Service Phone Number and more here.